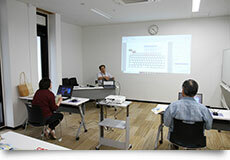 We offer a wide assortment of lectures where city residents, from beginner level to competent, can learn about computers. PC system, basic operation, etc. Participants in the PC Extreme Beginner Level class, learning about computer systems. 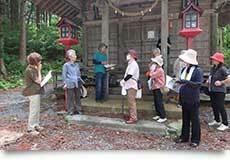 A walk around “Tono's Heritage Sites” (registered last year), For participants' to gain a better understanding of their hometown. In addition, the walk aims at touching upon the history of Tono and on better understanding the makeup and management of the heritage site's system. These lectures aim for understanding the local area both within and outside the city. 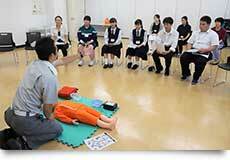 Participants will engage all their senses during visits around Tono and other places. 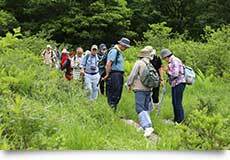 Observing plants in Tono City and gaining a better understanding of the plants that grow within Tono. 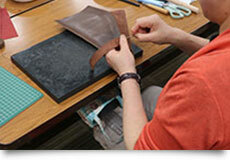 We offer a place for city residents to gain skills in various arts such as crafts, cooking, woodworking, etc. 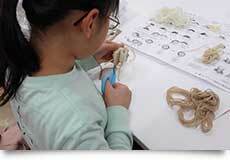 This program is intended for elementary school students that are 4th to 6th year students. We admit up to 40 children into our program, and they hold events four (4) times a year. 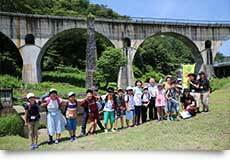 The students take part in outdoors activities. In cooperation with the City Elderly Go Club and the Tono branch of the Shogi Association, we take on elementary and middle school students and hold classes for them 8 times a year. 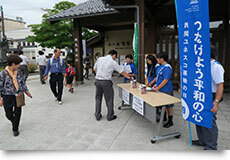 Our foundation shows its support by promotion for the work done by the Tono UNESCO Association. 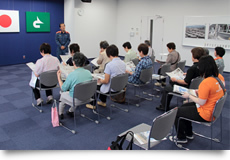 Within Tono City or any other surrounding areas of Tono, we have a wide-range of ages that serve as our volunteer staff. From High School Students to Adults, anyone can help out with our projects. 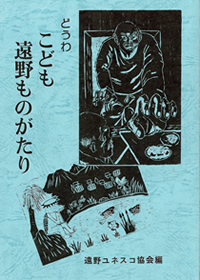 The Tono UNESCO Association has published works such as the “The Legends of Tono”. They are known for publishing books that are easy for children to read. These books are sold at the city facilities given below. Those interested in purchasing books, please contact us by email. If you would like a printed receipt, please let us know.